"You are a strange, strange man Mr. John"
According to the good people down at the WordPress blog factory, this will be the one hundredth post here at the Bentouttashape offices… and by offices I mean me and my iPad in a Starbucks, or a bar, or a park bench. This is also the time of the year where I switch over to my other blog Diary of a Fringe Tech and tell stories about the Winnipeg Fringe Theatre Festival for the next seventeen days. The first post is already up and Day One is tomorrow on Saturday July 12th. 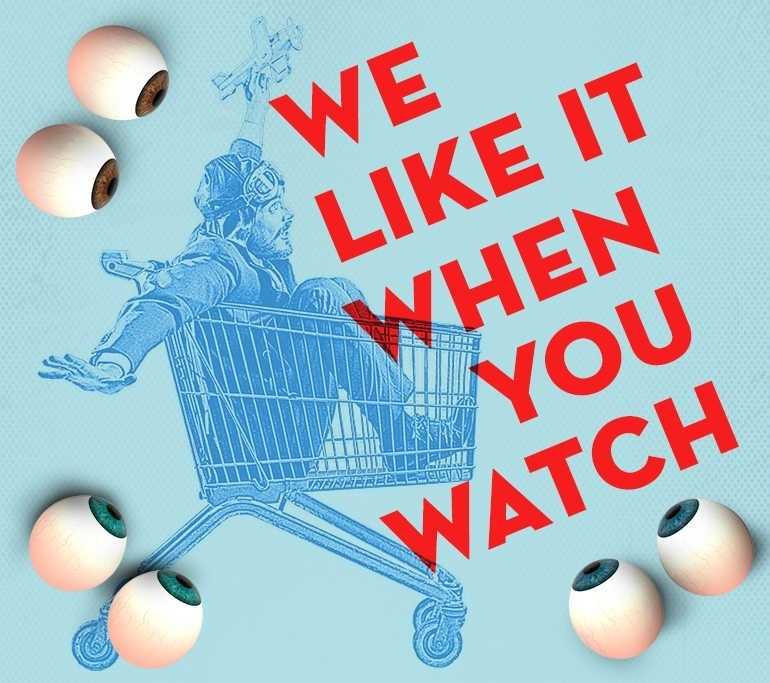 This year, the Fringes’ branding is “We like it when you watch” which ties in the exhibitionist nature of performance. But having my one hundredth post simply be a “Hey, go check out my other thing that I write about once a year” pointer, seems like a bit of a cheat. So I thought I would add a little story from the backstage of the theatre I used to work at in Calgary, that has a bit of that exhibitionist theme. During my first year at Alberta Theatre Projects, sometime around the time that fire was invented, I was participating in a production internship through the University of Calgary Drama Department and was really really keen. We were just about to open the first production of ATP’s season, my first professional production, and I decided to dress to the nines for opening night; tuxedo with tails, the works. I felt like a complete idiot, over dressed and new, wandering around the opening night party in the theatre, sticking out like a sore thumb. I ended up making my way into the carpentry shop, and low and behold, the new scenic carpenter, the late great Gerry Gerlinsky, was standing at one of the shop tables in a brand new suit with tie. Gerly (which was Gerry’s nickname) then offered me a beer and we talked about our experiences on being new employees at A.T.P. After a while, the conversation came back to our opening night attire. Gerly and I just stood there with our mouths open, and our trousers around our knees. I thought I was out of a job, but we only got a lecture about choosing better venues for underwear comparison. The really funny thing was, that a couple of years later, the same thing happened to a different bunch of guys and I was there to witness it… but that time, I was smart enough to keep my pants on. So here’s to a hundred posts. Thanks for reading, and come on over to my Fringe Fest blog where I’ll be telling more stories of theatre exhibitionism.